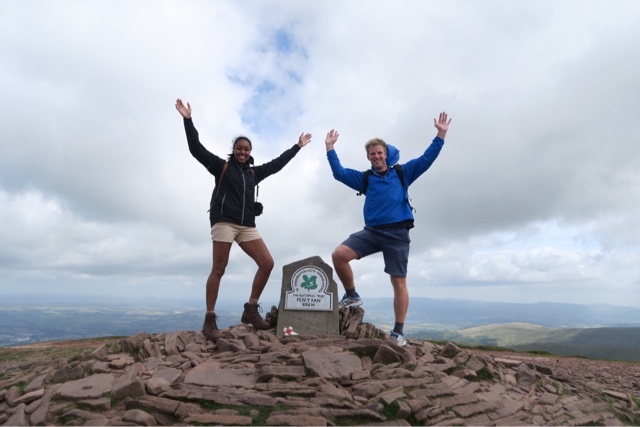 Climbing Mountains And Conquering Diabetes | Life, Sport and Diabetes - An everyday look at my life with type 1 diabetes. 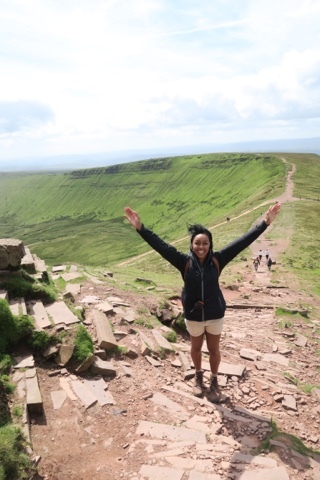 This Summer I set my sights on climbing Pen-y-Fan, which for those who haven't heard of it before, it's an incredibly steep mountain in Wales. If you read the blog regularly, you'll know that I enjoy being outdoors and walking (when I'm not sprinting), but I've never done anything like this before and I knew it was going to present a big challenge to my fitness and my diabetes! My preparation to climb the mountain began the day before, my friend was taking care of planning the route. Which left me to plan my diabetes. As the climb consists of a steep, continuous incline, it wasn't just about eating something sugary on the day. I needed to have some glycogen stored in my muscles too for use later. So I had a carbohydrate based meal for tea consisting of pasta and fish for protein (which would help me recover). On the morning of the climb I packed my bag, put on my Toe Tec socks and had my porridge for breakfast, but I only gave a small bolus for it. Making sure to keep an eye on my glucose levels. The reason for doing this was that I wanted my levels to be safely elevated to keep me out of the hypo zone for the climb. 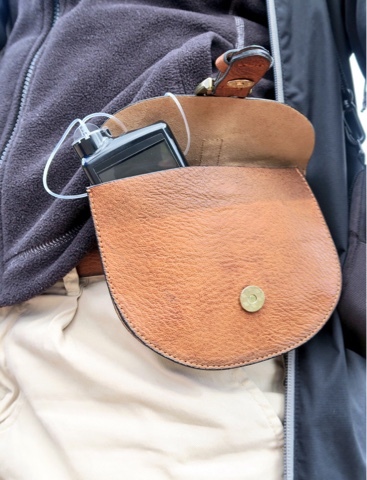 I also kept my pump in a belt bag with my BG monitor for quick access, as pictured above. On the way to Pen-y-Fan I reduced my basal insulin so that I wouldn't have too much insulin on board. Before starting the climb I did a blood test to make sure I was safe to go, that also calibrated my CGM and away we went! From the very start of the ascent the incline is steep, requiring both arms and legs to provide momentum up the mountain. At about every third of the way, I had a brief break to maybe take on some fast acting sugar and to check my CGM. 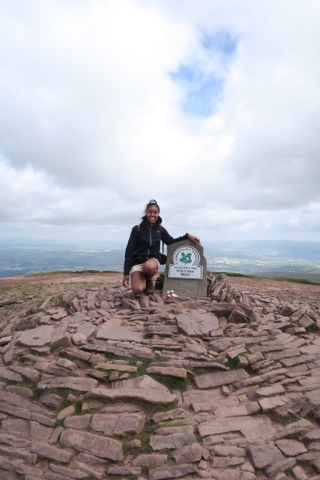 I managed to reach the top of Pen-y-Fan with a BG of 6.0mmol, having started at 12.9mmol. Stopping to rest and suspended before low, I took on board a banana and some skittles. 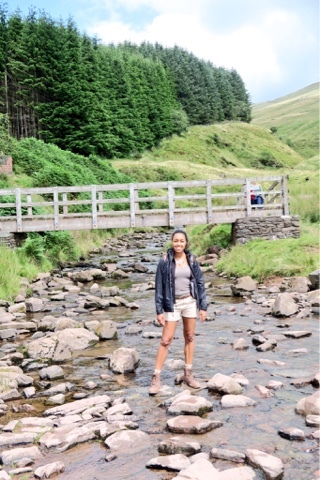 Which gave me the energy to climb a second mountain situated behind Pen-y-Fan before making our descent. 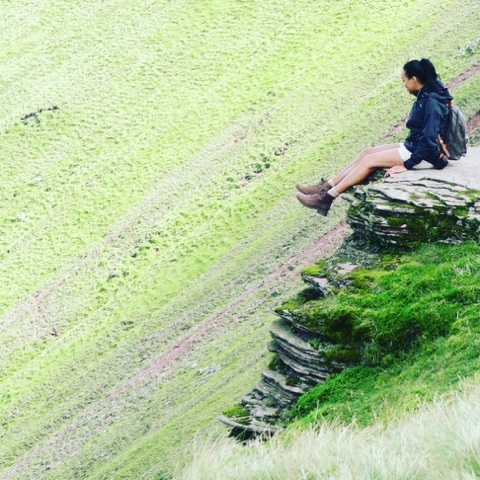 My Toe Tec socks provided toe, heel and ankle support in my walking boots, which was integral to getting the grip I needed to combat the rough terrain. There were also times on the mountain when a couple of metres was the difference between baking sun and a bitter wind. But my feet weren't affected in the slightest and remained warm, when needed. The views at the top were incredible, but equally exhilarating was the fact that I'd managed to climb a mountain without having a single hypo. I felt on top of the world! Technology is an incredible thing, but the success in my opinion of big physical feats such as this is in the planning beforehand too!